Huawei Matebook X is Amazing In Almost All Aspects, But A Little Overpriced. The Matebook X has a one-step start-up, and Dolby Atmos-ready speaker; the pitfall is, there are only two USB ports and you need a charge – though mercifully only from a power bank – to get through a full day’s work. The first thing anyone will notice about the MateBook X is how slim it is. Weighing only 1.05kg; with measurements of 286mm x 211mm x 12.5mm (it’s just a bit larger than a piece of A4 paper, and little bit thicker than a smartphone); and with slim bezels surrounding the 13-inch display; this is one of the lightest and thinnest laptops on the market. And much like Apple’s line of MacBooks, Huawei didn’t forego robustness for portability. 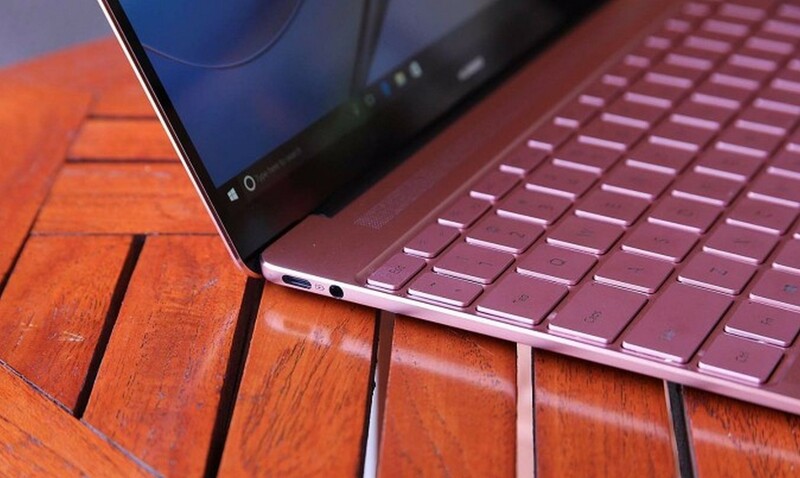 The all-metal MateBook X screams premium from every angle: the clamshell hinge is stiff and doesn’t give the display room to sway even when typing on a moving train; the trackpad has a smooth metal surface that’s also tremendously accurate; and the keys are evenly spaced and provide enough tactile feedback for all but the most pickiest of typers. But the two hardware parts that stand out the most sit above the keyboard. The first is a power button that doubles as a fingerprint reader. You only have to press the power button once: that turns on the device and logs you into Windows in one go. The second stand-out feature is the long speaker grille that stretches across the entire row of F keys, which were co-engineered by Huawei and Dolby. That makes the MateBook X the first laptop in the world to be certified “Dolby Atmos-ready”. What that means is that the speakers sound louder, richer, and more three-dimensional than other laptop speakers. The bass has more oomph, and maximum volume sounds more full, with less distortion. The 2k resolution, 13-inch display is also excellent, capable of pumping out vibrant colours at sRGB 100 per cent colour gamut. Overall brightness gets up to 350 nits, allowing the user to use the laptop in sunlight without problems. To top it all off, the bezels around the display are only 4mm thick; that’s much slimmer than on MacBooks, though not as impressive as the Dell XPS’s almost borderless look. Unfortunately, the MateBook X, like the new MacBooks, is sorely lacking in ports – there’s only a USB-C port on each side of the device. I’m not sure if this is a necessary sacrifice for portability, or just a pretentious attempt at Apple minimalism, but if you want to use a wired mouse or a USB stick, you’ll need to plug in a dongle. Thankfully, Huawei includes one free with every device. But the dongle, which offers HDMI ports and two USB-A ports, doesn’t have a slot for SD cards. So if you’re a photographer, you’ll have to buy an additional dongle (or just go for another laptop instead). The MateBook X runs a clean version of Windows 10, with the only software addition being the “MateBook Manager”, an all-in-one control centre that lets users control everything from battery optimisation to storage options to driver installation. Most serious PC users will have no use for this – but it’s nice to have for newbies. The review unit that was examined, runs on the latest generation Intel Kaby Lake i5 chip on 8GB of RAM. There’s a more premium version with an i7 chip (with same RAM), but this mid-range option has been mostly powerful enough to handle any task users threw at it. In one week of testing, the users experienced no slowdown whatsoever when using the laptop normally: checking e-mails and writing word documents. But when they pushed it, streaming Spotify on high-quality mode with several Chrome tabs opened and chatting on Windows’ Facebook Messenger app, or when they started a Skype video call while uploading files on Google Drive, the MateBook X froze on me a couple of times. A 16GB RAM configuration would probably solve these minor issues. The MateBook X lasted about seven hours on average before running out of battery. When using the device to stream NetFlix at 75 per cent brightness and 50 per cent volume, battery life drops to four hours. Neither of these are amazing results, but acceptable considering the size of the device. 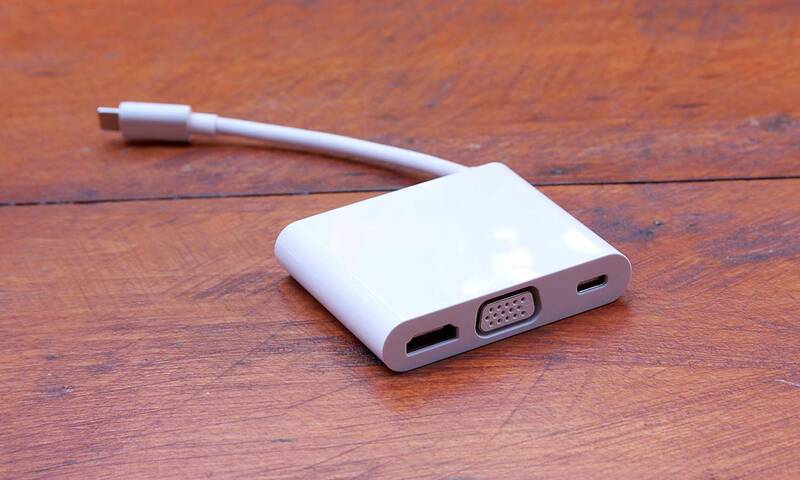 The best news is the MateBook X is powered through USB-C, so the same portable power bank that every Hongkonger already carries around for their phones can be used to charge the laptop. Whether it’s hardware or performance, the MateBook X scores high marks and can be compared to the best laptops on the market. The only pitfall is the price. At 7,988 yuan (HK$9,168) for a i5/8GB RAM/256GB storage option or 9,988 yuan (for i7/8GB RAM/512GB storage), the MateBook X is an expensive device, especially when compared to other Windows machines. But if you’re ready to spend the money, you’ll get the most portable and best sounding laptop on the market. Next articleEverything You Need To Know About Xiaomi Mi 6 Plus.